His debut will be the upcoming Mohanlal-starrer directed by Unnikrishnan. CHENNAI: Popular Tamil actor Vishal Krishna, who is foraying into Malayalam filmdom with the upcoming Mohanlal-starrer, is likely to be seen playing the prime antagonist in the untitled project. "Happy to announce my next flick, written and directed by Unnikrishnan B. in the production of renowned producer Rockline Venkatesh, who has produced films like 'Bajrangi Bhaijaan' and 'Lingaa'. Actor Vishal is playing a very crucial role in the film," Mohanlal posted on his Facebook page on Thursday. The film will mark Vishal's Malayalam debut. 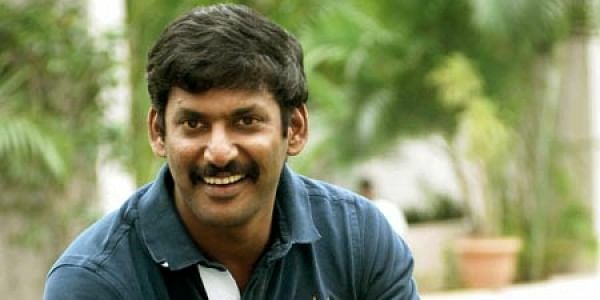 A source from the film's unit told IANS: "Vishal has been considered to play the main villain. It won't be a regular antagonist's role but a character with negative shades. He really liked what he heard and immediately came on board." This is the fourth time Unnikrishnan and Mohanlal are teaming up after films such as "Madampi", "Grandmaster" and "Mr. Fraud". The makers are yet to finalise the leading lady and the rest of the cast as well.